Awami League General Secretary and Road Transport and Bridges Minister Obaidul Quader, who is now undergoing treatment at Mount Elizabeth Hospital in Singapore, has been diagnosed with kidney complications. Awami League Deputy Office Secretary Barrister Biplob Barua has confirmed the news. “He has been suffering from kidney complications but it is not a major issue for his health now,” he said quoting the doctors at the Mount Elizabeth Hospital was saying. “After a checkup, doctors informed that his condition is now stable,” he added. Earlier, the doctors at the hospital in Singapore started the treatment of ailing Awami League General Secretary Obaidul Quader on Monday night. His personal secretary Goutam Chandra has confirmed. “Obaidul Quader was admitted to the coronary care unit of the Mount Elizabeth Hospital and being treated under the supervision of cardiologist Phillip Koh,” he added. The air ambulance carrying the ailing politician landed at Singapore's Seletar Airport around 7:40pm (BST). Later he was taken to Mount Elizabeth Hospital for treatment. 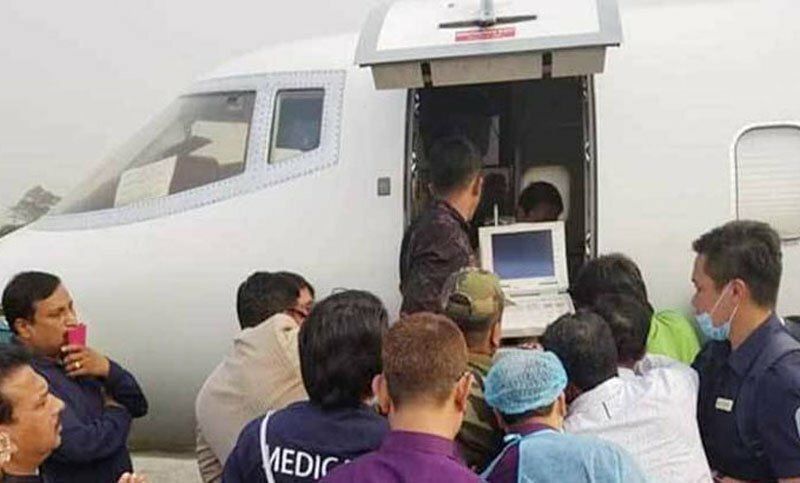 The air ambulance left Hazrat Shahjalal International Airport at 4:15pm yesterday. India’s renowned Cardiac Surgeon Dr Devi Shetty, however, was flown to Dhaka on Monday to visit Obaidul Quader at Bangabandhu Sheikh Mujib Medical University (BSMMU).